Cat Puppet: There's a cat in my hat, a cat in my hat, a cat in my hat today (do twice). What does the kitty cat say? 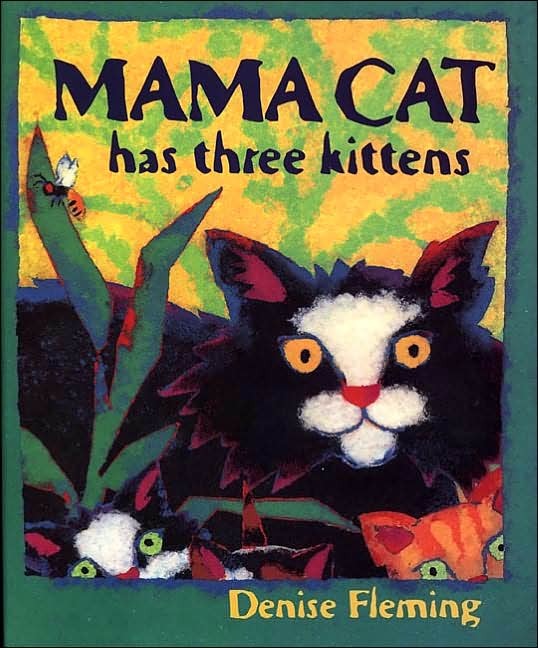 [cat puppet says meow]Read Mama Cat Has Three Kittens Early Literacy Aside--Example: When children hear rhymes, rhythms and sounds of animals, it helps them develop phonological awareness, hearing the smaller sounds in words. This is a skill that will help them as they begin to read. Early Literacy Aside--Empower: Keep doing rhymes with things in your children's world. Today we did cat in my hat. You can do ball in the hall or star on my car (give a star sticker). Before reading the book: Ask the children to describe things they would put in a box. And in this box it will contain art supplies. What can you think of? They reply with crayons, paint, etc. This is a great way for children to use the vocabulary that they do know and also good for developing Narrative Skills, which is the ability to describe events and tell stories. 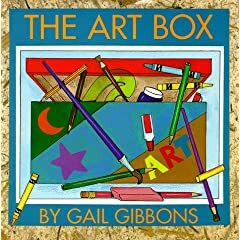 Now let's see how a book can help introduce children to new vocabulary.Read the book Art Box by Gail Gibbons. Have items like compass, protractor, etc. available for the children to see and use. Talk about what they do. Early Literacy Aside--Empower: Parents, having real objects to help children understand words in the book is one way to help build their vocabulary, to learn the meanings of words. Even when you are not reading books, just talking about objects around the house and what they do is one way to expand children's understanding. Read book Pig's Picnic by Keiko Kasza. Retell the story using props. Have the children retell the story as you maneuver the props.Early Literacy Aside--Example: Using props is one way to help your child remember the story as they try to retell it. When they can retell a story, it helps their understanding. Talk about how what is special to one person might not be special to another. People see things and use things differently.Read the book Thank You Bear by Greg Foley. Activity: Pull out a cardboard box and have the children act out the story. You are the bear. There can be as many monkeys, owls, elephants, etc. as there are children who want to be that animal. Then talk together about the many things you can do with a box. Early LiteracyAside--Example: Acting out stories and having children say parts helps develop their narrative skills, the expressive part of language. Retelling stories is one way that children will later more easily understand what they read. If your child did not get a chance to talk about how they might use a box, listen to their ideas on the way home.